Birth date and place 16 Oct 1828 Woolwich, Kent. Baptism date and place 17 Nov 1828 St. Mary Magdalene, Woolwich, Kent. Civil Census Residences Royal Artillery Barracks, Woolwich, Kent (1851). Ogilby Street, Woolwich, Kent (1871). Physical Description Height: 5 ft. 6½ ins. Complexion: fresh. Eyes: blue. Hair: brown. Marriage date and place Single as at April 1851. Children William Thomas b. 1854, Woolwich, Kent. Louisa R. b. 1862, Aldershot, Hampshire. Robert William b. 1866, Dublin, Ireland. 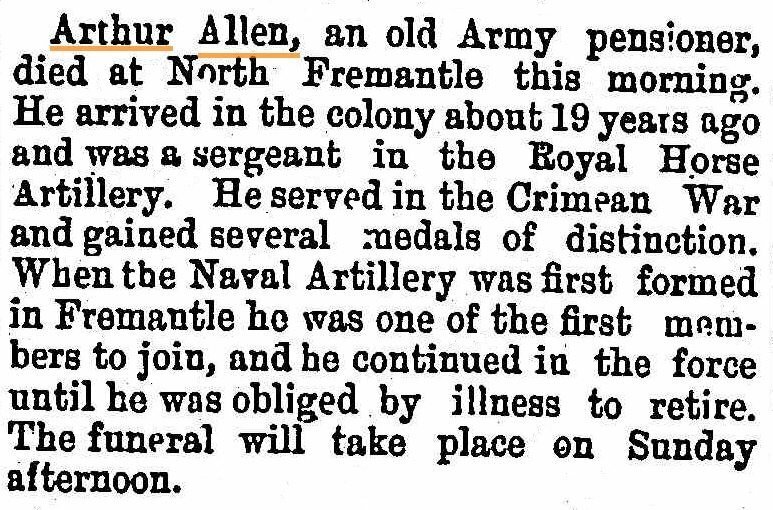 Death date and place 3 Nov 1892 Perth Road, North Fremantle, Western Australia. 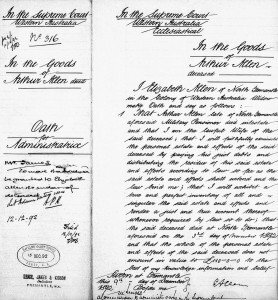 Will and Probate Letters of Administration: 9 Dec 1892. 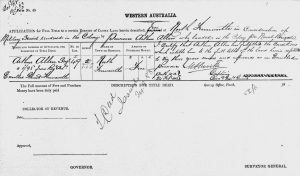 Probate: 12 Dec 1892, Supreme Court of Western Australia. Death Notices and Obituaries Daily News 4 & 7 Nov 1892. Inquirer & Commercial News 5 Nov 1892. 7th Battalion 8 Mar 1847. 6th Battalion 1 Feb 1848. 8th Brigade 1 May 1859. 9th Brigade 1 Oct 1867. Regiment No. 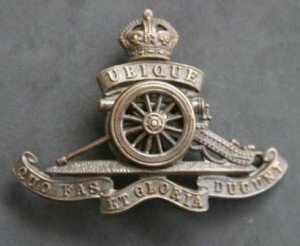 and Rank #2518 (6th Battalion Gunner & Driver). 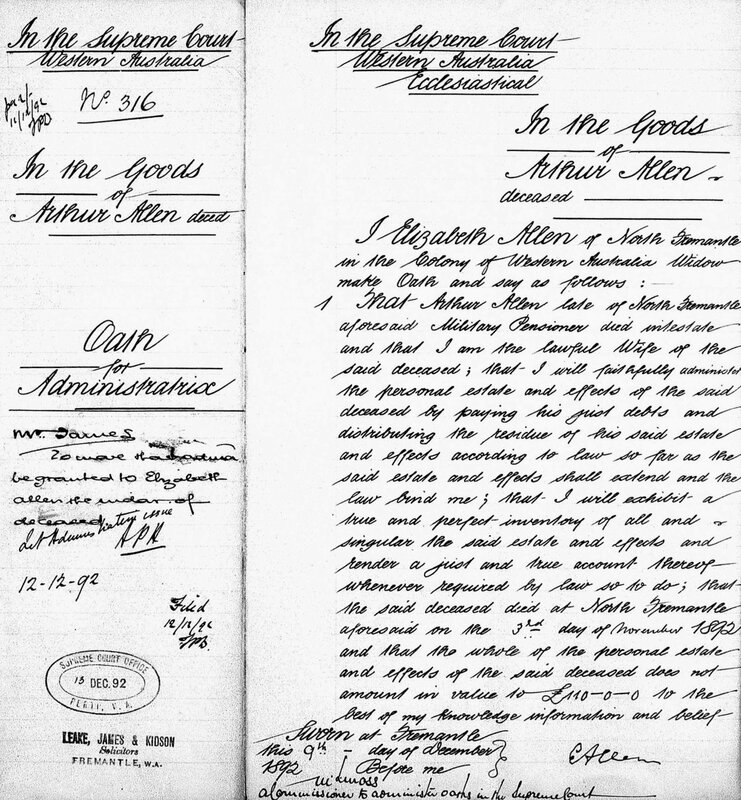 Attestation date and place 8 Mar 1847 Galway, Ireland. Service/Campaigns Corfu 2 years 11 months. Crimea 1 year 1 month. Promotions 15 Jan 1851 Gunner Driver to Bombardier. 11 Jan 1854 Bombardier to Corporal. 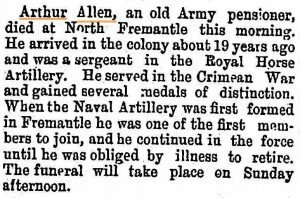 30 Aug 1854 Corporal to Gunner (reduction). 20 Apr 1860 Gunner to Bombardier. 11 Oct 1862 Bombardier to Corporal. 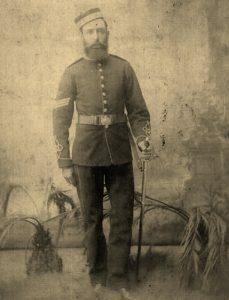 6 Feb 1867 Corporal to Sergeant. Regimental Courts Martial Offences unknown. 30 April to 29 Aug 1854 – awaiting trial, tried and imprisoned. 22 Feb to 30 Sep 1867 – awaiting trial, tried and imprisoned (sentence remitted). Discharge date and place 20 Apr 1869 Woolwich, Kent. Length of Service 21 years 283 days. Post Discharge Residence 1st Middlesex Artillery Volunteers, Leicester Square, SW.
Post Discharge Pension District 2nd North London (1869, 1870). Woolwich (1870). 2nd North London (May 1872). Perth WA (1874). Pension Amount 1/7d. per diem. Increased to 1/9½ per diem 18 Jan 1881 for service EPF. 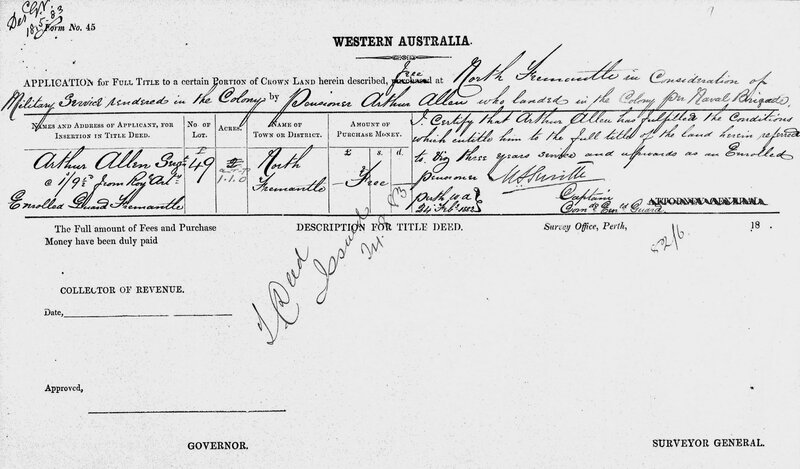 Land Grant/Purchase 24 Aug 1883, North Fremantle Lot P49 (grant).